Rich Chinese business people don’t like to drive; they prefer to be chauffeured, and the auto industry has responded accordingly. Making its official debut this week at the Beijing Auto Show is the new Bentley Mulsanne Extended Wheelbase First Edition, which offers an additional 250 mm of rear legroom. 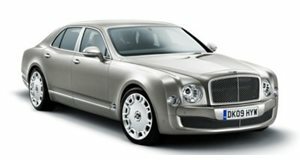 The Crewe, UK-based luxury brand claims the Mulsanne EWB First Edition is "the most generously proportioned pinnacle luxury limousine in the world." Production is limited to just 50 examples. Rear seat occupants will find new airline-style reclining seats with extending footrests and a rear compartment sunroof. Feel like taking a nap? No problem, thanks to the rear compartment curtains. A champagne cooler is also available and 'First Edition' embroidery is just about everywhere. Also new is a pair of 10.2-inch, 32 GB Android tablets that are integrated into the backs of the front seats. 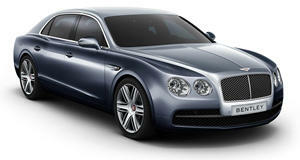 Each car also features a specially engraved Bentley "Flying B" hood ornament. The display car features Fulbeck veneer sourced from a 350-year-old English walnut tree, while all other examples will have Antique Ash veneer. Bentley also brought to Beijing its new Flying Spur V8 S, which is making its Chinese debut, as well as a bespoke Bentayga done by the brand’s coachbuilding division, Mulliner. Official for the Mulsanne EWB First Edition wasn’t released, but chances are it’s well out of your price range.